In my “free” time, I have become a mystery shopper. Getting paid for going shopping—why didn’t I think of this before?!? “I need to check what I missed,” said my ego, leafing through the instructions. The ego won. And I called. Apparently, I had included the attachment as a .pdf instead of a .jpg. So, anyway, I got over myself and went on my next assignment. It was to go grocery shopping at a “Club” store, usually reserved for those in the restaurant and food business. I studied up, made my list, then, when I got there was totally overwhelmed. I had no idea what to buy and ended up spending twice as much as I had planned because 1) the shopping calculator in my brain completely overheated and 2) everything was in XXL packages. I ended up getting what I thought was 6 lbs of pork—it ended up being 10 lbs because I hadn’t read correctly. That didn’t matter. It was exactly the right amount for the sausages we had planned to make with it. And it was super quality and very lean. 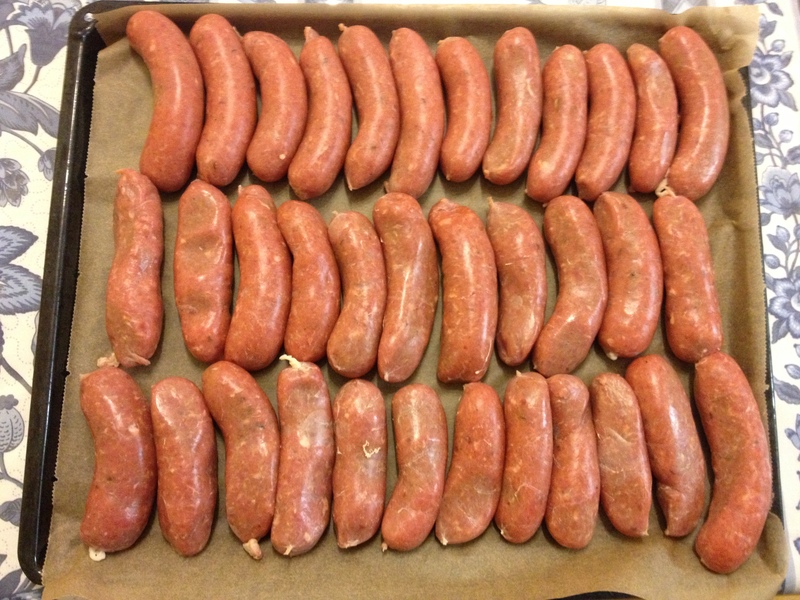 So today we made sausages! Hot and sweet Italian sausages—partially sponsored by my agency. Delicious! I must say, being a mystery shopper is not the “wurst” thing in the world. How to make your own sausages. Also delicious simply as patties if you don't stuff the meat into casings. Now, how do I become a restaurant tester? A girl’s gotta have career goals…. P.S. 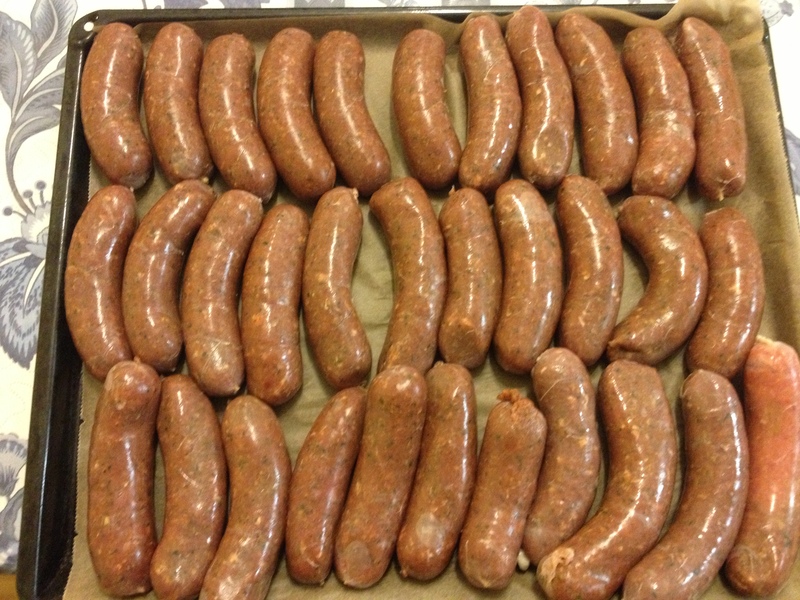 You can find step-by-step sausage-making instructions, as well as an equipment list and helpful tips at The Spicy Sausage.com. Looks super! What kind of pork did you use? Any ratio of fat to meat? Did you buy it solid or ground? Is there some way to do it if you can’t get hog casing?